The Pro-Style dumbbells comprise of durable urethane/rubber weighted fixed ends and a knurled textured handle that is made of steel and provides excellent hand positioning. These chrome plated dumbbells are a great choice for professional gyms and those who want to build strength and muscles at home. They are sold in pairs and each of them weighs 27.5kg (60.6lbs). 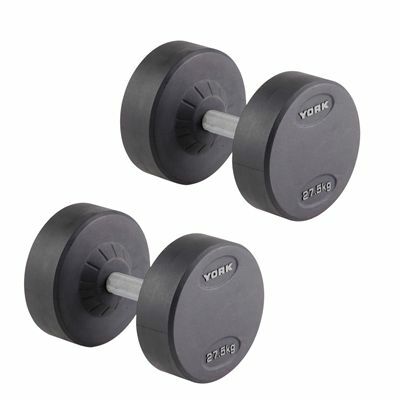 for submitting product review about York 2 x 27.5kg Pro-Style Dumbbells.